Are you searching for a local electrician in Exeter? Look no further! Spark Squad can help with a range of domestic electrical services, with no task or project considered too large or small. 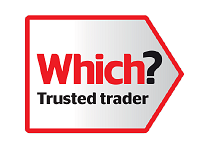 When you're choosing between electricians, it's crucial that you choose somebody with the qualifications, training and professionalism needed to complete every job to the highest standard possible. Spark Squad’s electrician, Mark Lovet, is fully-qualified and NICEIC approved. So when you choose Spark Squad, you can relax in the knowledge that an experienced expert will be ensuring your home is electrically safe and sound. You can see a full list of Mark's qualifications right here. When you need a domestic electrician, rest assured you’ll receive the highest level of electrical know-how and a can-do attitude with Spark Squad. And with a strong emphasis on customer satisfaction, you'll get electrical services that are consistently reliable, honest and affordable. No matter where you live in Exeter or Devon – whether it’s a terraced house, apartment or thatched cottage – Mark has the experience and expertise to meet your requirements. To find out more about Spark Squad's domestic electrical services, please get in touch to discuss your requirements in greater detail. Simply ring 01392-770-148 or 01395-350-125, e-mail sparksquaddevon@gmail.com or complete this quick contact form.